Birding yesterday on the 'patch' had a bit more excitement than normal as the weather had finally settled back to calm and cold from the very windy weather we have been having for the last few days. 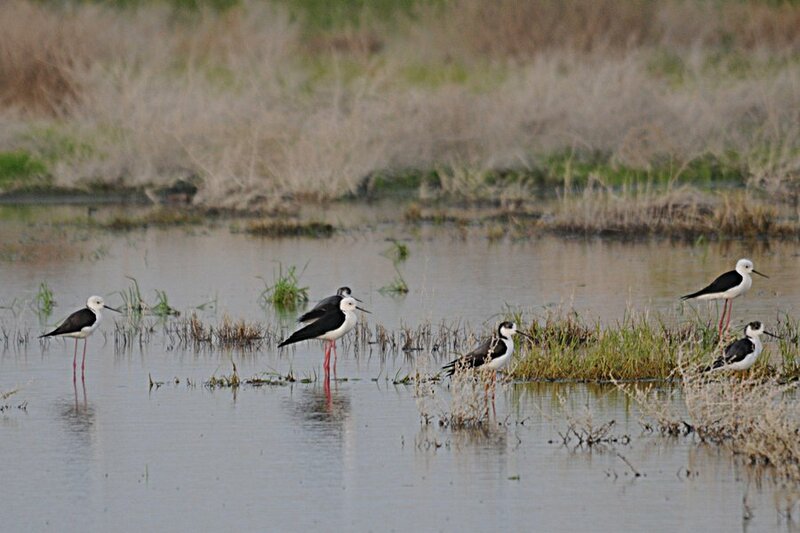 The change in weather meant that I had a chance of finding something that may have been displaced by the winds and this coupled with the fact Bahrain, only 50 kilometres away, had a first country record in the shape of Black-winged Kite, that Abdulla and Brendan found and a six country record in the form of Red-wattled Lapwing that Howard King found mean I had to have a chance of seeing something. I went to the spray fields to see what I could find and with the sprinklers off for the first time in a week I was able to walk around the fields. 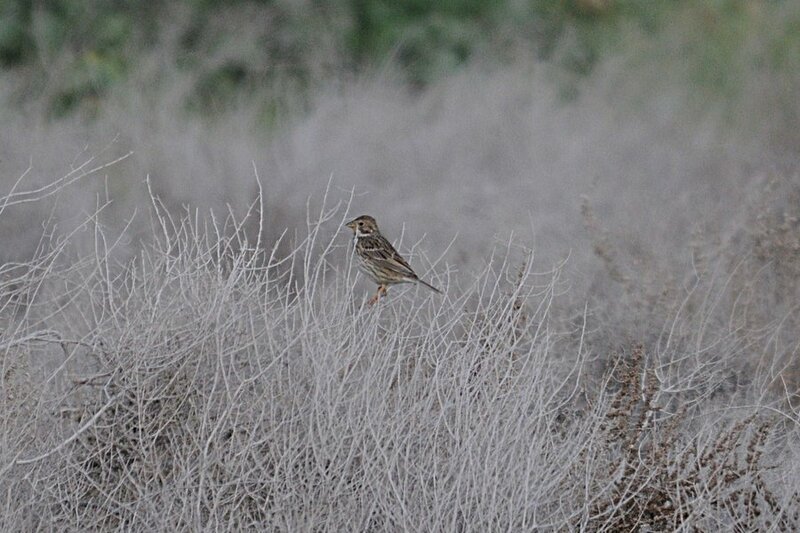 I saw many Water Pipits numbering at least 50 birds and four Eurasian Skylarks but best of all were six Corn Buntings feeding in a small flock on the seed heads. 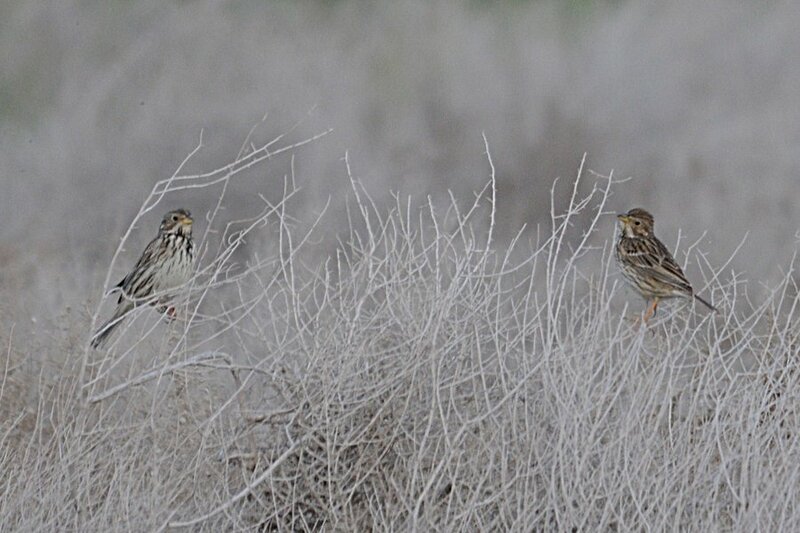 This is only the second time I have seen the species in Dhahran Camp and the first time was in early March 2011 when I saw two birds. They are not scarce but it is still a good record for the camp. Other birds seen in the spray fields were nine Black-winged Stilts in a group on a wet area and a single Daurian Shrike sitting on the normal bush that shrikes like. One Tawny Pipit was showing well in the flattened grass under one of the sprinkler heads but not too much else was in evidence. 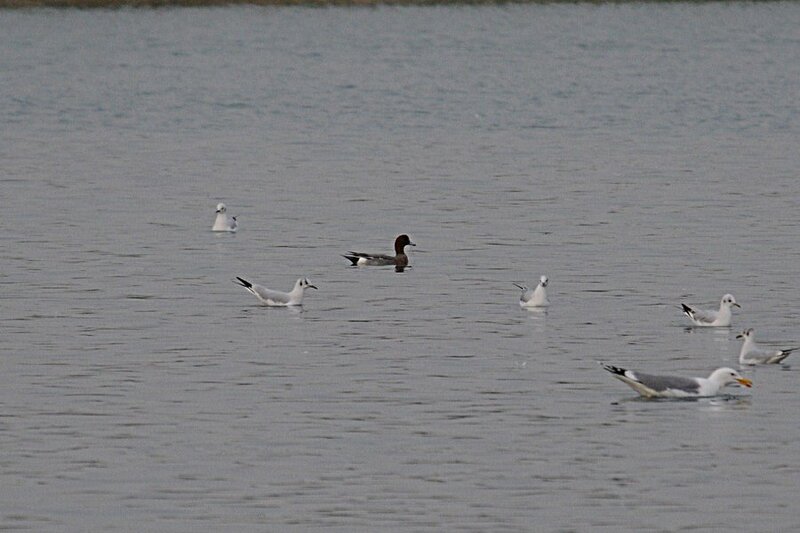 I then went to the percolation pond and it had a few duck that had not been present the day before. There were six Eurasian Wigeon comprising three males and three females as well as a single drake Northern Shoveller and 22 Eurasian Teal. The two Great Crested Grebes had returned after being missing for a few days and six Little Grebes were keeping them company. Large numbers of over five hundred Common Black-headed Gulls were present along with 58 Steppe Gulls, seven Caspian Gulls and one Heuglin's Gull. The only other birds of note were six Cattle Egrets and three Grey Herons.